Well done to all those who made it to BPM I & BPM II this April. It was an exciting evening with Glenn Armstrong sharing from his vast knowledge of how he is consistently doing property deals and will continue to do deals for years to come. The feedback has been tremendous and very heart warming for us. We strive each month to support the attendees in their journey and it's great to know that we are constantly achieving that. As always, here are the photos and some video snippets of the April event. After their amazing sell-out Super Conference at the Islington Design Centre 2 weeks ago having shared so much great content, they are now coming to the Berkshire Property Meet to share EVEN MORE! It is going to be a brilliant night. Over the last 5 years they have bought more than 230 properties for themselves and their investors. In 2006 Rob & Mark set about buying properties for themselves full-time. They never actually intended to build one of the largest Property companies in the UK, they simply wanted to buy property with big discounts and good cashflow for lifestyle choice. 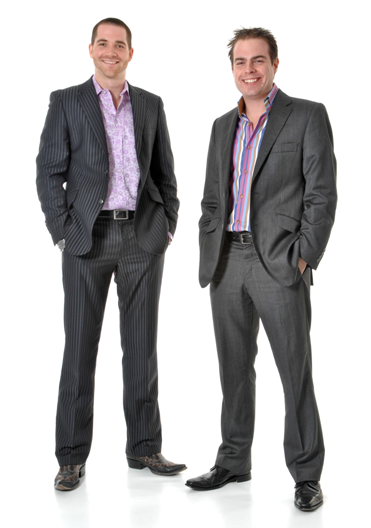 Since 2007 Rob & Mark have written 2 Best Selling Property Books & been Featured in TV shows for BBC, Channels 4 & 5 and Living TV. Many people who get involved in property would have read the book 'Rich Dad – Poor Dad' written by Robert Kiyosaki. In his latest book – the Business of the 21st Century – he writes about the benefits of another great way in which people can achieve their goals. We have been involved in our P.erpetual I.ncome G.enerator which ticks all the boxes that Robert Kiyosaki recommends perfectly. This fits along-side what we are currently doing and you can easily work it into your busy schedule, just like we do. Remember to Book Now for 17th May with Rob & Mark from Progressive Property.